I’ve seen this trend pop up on a bunch of blogs I follow and I decided to use it as inspiration for today’s post! 1. If you watched The Grammys please tell me that you thought Justin Timberlake looked absolutely freaking adrorable! Not only did the eleven year old self in my squeal with excitement that he was indeed back, but I was also loving his new music. And he released his new song/video today. It was totally my jam during my morning workout. 2. It’s warming up over here on the west coast! It was almost 85 degrees today! And if I didn’t have to work at 5 I would have totally would have spent the day at the beach! I love cold weather from October to mid February and then after that I’m all about the summer weather! 3. Big changes are hopefully coming to me at work. I have a big, no HUUUGE interview next Saturday and I’m hoping I nail it! I don’t have many details but as soon as everything gets figured out I’ll obviously be sharing it! 4. Tonights dinner was bomb.com! You know those nights when you don’t really know what you’re going to make for dinner and then you just throw something together and it turns out amazing. Tonight was one of those nights. 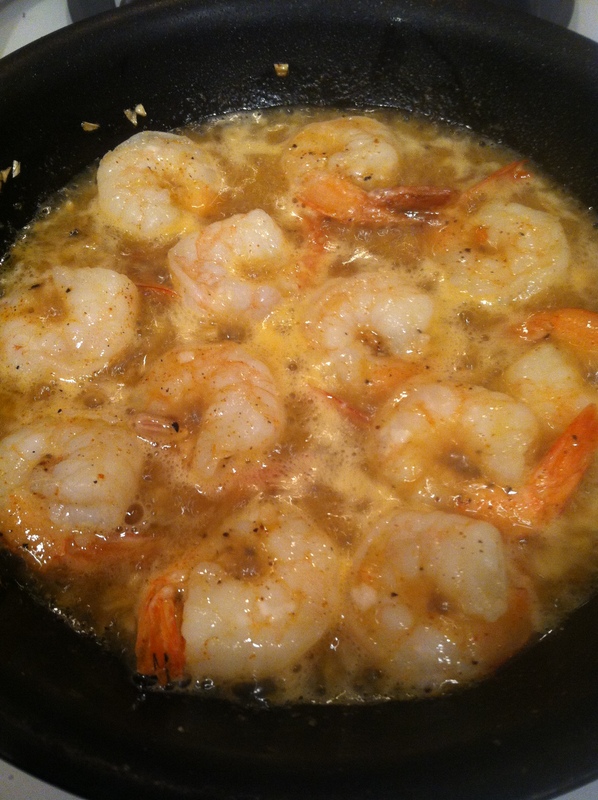 I had some shrimp in the freezer and I decided to make them scampi-ish style. In a skillet I browned some garlic. After tossing in the shrimp I gave it a generous pour of white wine, added a mixture of spices including cayenne powder for a kick and some lemon and let it all cook till the shrimp were nice and brown. Served with some rice and a salad. Amazing. 5. Cheers to having the entire weekend off. It’s been a long time since I’ve gotten to actually enjoy a true weekend. I’m excited to lounge around, bake and get some laundry done!